Kirtan is a form of music – the singing of Gurbani. Improving mental alertness – so much so that the Alzheimer’s Society has a singing service to help those with dementia. But why is Kirtan so important? Let’s take a slightly spiritual perspective. 1) Helps you learn Gurbani. Kirtan is the singing of Gurbani. Through singing, a person can often learn the words much more easily to Gurbani, Shabads, and Nitnem. 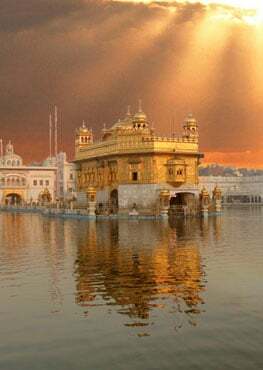 Have you ever walked out of a Gurdwara and a particular shabad that you were just listening to is still playing in your mind? While you might be remembering the tune, you’re likely to also remember the words – the Gurbani. 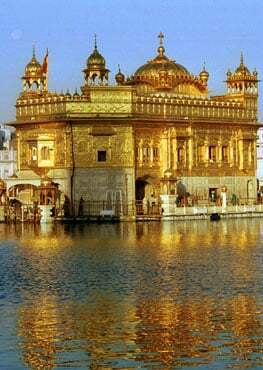 On every page of Sri Guru Granth Sahib Ji, instructions are given to chant, jap, recite or remember. These are all different words for Simran – the practical application of Gurbani. So, when you hear Guru Sahib telling you to chant, jap, recite or remember, do just that. Learn more about how to incorporate Simran into your work schedule. The Gurus were intelligent beyond their times. They realized that the message of Gurbani would need to be delivered through Kirtan across the world. This was likely because the written word of Gurbani was not easily accessible at the time, and because most people would not have been able to read it if it were available – because of low literacy. Kirtan is a platform to receive the knowledge contained within Gurbani. That knowledge is there to guide every Sikh, through Gurbani (Scripture), Simran (Remembrance of God) and Jivan Jaach (Turthful living). Active listening is something that requires energy and focus. It’s a skill that’s needed in every aspect of life; from family and work, to volunteerism and leadership. Kirtan teaches us how to listen actively. The message of Gurbani, delivered through Kirtan, can only be understood if a person is attentive. This means actively listening to what is being sung, but also taking it one step further – practical application. Listening = love. When we listen to someone or something, it shows either love or a certain level of respect. Let’s take another point of view. Think of the many conflicts that happen either at home or in the workplace. How many of these situations were a result of someone not listening or properly understanding a particular point? We all want to be listened to and understood. When we learn to listen to each other, we’ll learn to listen to our Guru. The next time you’re at the Gurdwara or hear Kirtan being sung, take the time to actively listen to the words and try to understand the greater meaning. From there, ask yourself, how can I apply this to my life? Even if you’re only able to do part of that, then you’ve realized the greatest gift that Kirtan has for us – the connection to Gurbani!